LONDON: The British Government has ordered the extradition of bookie Sanjeev Chawla to India to stand trial in a match fixing case of year 2000. The extradition was earlier okayed by the Westminster Magistrate. UK's Home Secretary Sajid Javid signed the extradition order, it was confirmed on Saturday. "On 27 February 2019, the Secretary of State (Javid), having carefully considered all relevant matters, signed the order for Sanjeev Chawla's extradition to India," a report quoted the Home Office spokesperson. However, Sanjeev Chawla can go in appeal. 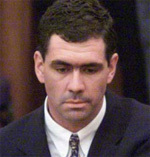 Sanjeev Chawla is an accused in the match fixing case in which South African cricketer Hansie Cronjie is also involved. Chawla lived in India til 1996 and moved to the UK on a business visa. He has been travelling to India often. His Indian passport was revoked in 2000. He obtained a UK passport in 2005. Chawla was arrested in 2016. Earlier, Javid, of Pakistani origin and a senior Minister in the British Cabinet, had signed the orders for the extradition of indian businessman Vijay Mallya to India to face charges of money laundering.